The coin is called a "mule" and it's just one of the hidden treasures that could be in your change right now! To help people understand and recognise these treasures, Downies.com is releasing a series of infographics on circulating Australian legal tender.... The coin is called a "mule" and it's just one of the hidden treasures that could be in your change right now! To help people understand and recognise these treasures, Downies.com is releasing a series of infographics on circulating Australian legal tender. The 50 cent coin is the largest and heaviest coin in use in Australia. It weighs 15.55 grams and measures 31.51mm accross. 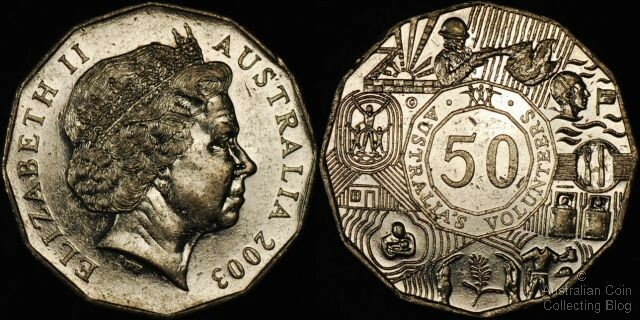 On the front side of the 50c Aussie coin are a kangaroo and emu on opposite sides of the Australian coat of arms. The backside of the half dollar coin features the ruler of Australia, Queen Elizabeth II.